Welcome to India! Your journey will take you to the natural beauty of a country so deeply entrenched in culture and tradition. 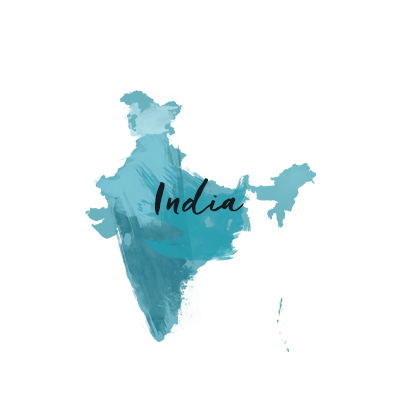 Use your time in India to connect with one of the world’s oldest wellness traditions, Ayurveda, and participate in other active adventures ranging from yoga to mountain biking! 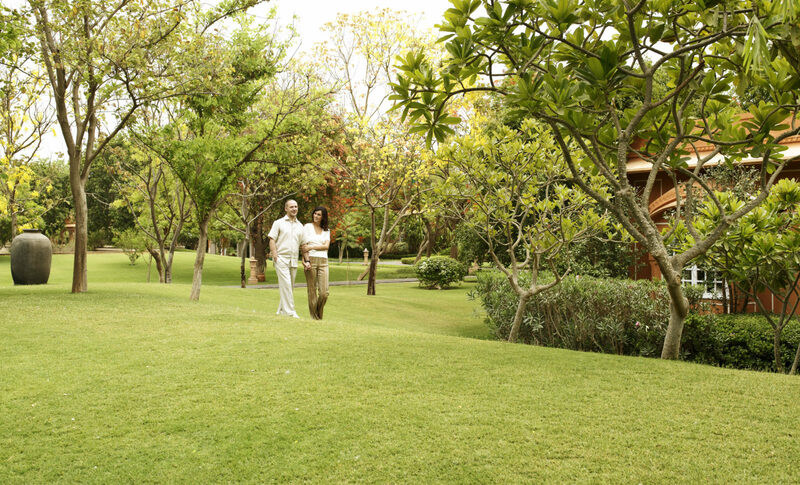 A close connection to nature is a key component of most wellness activities and you will certainly find that link in the serene beauty of India. 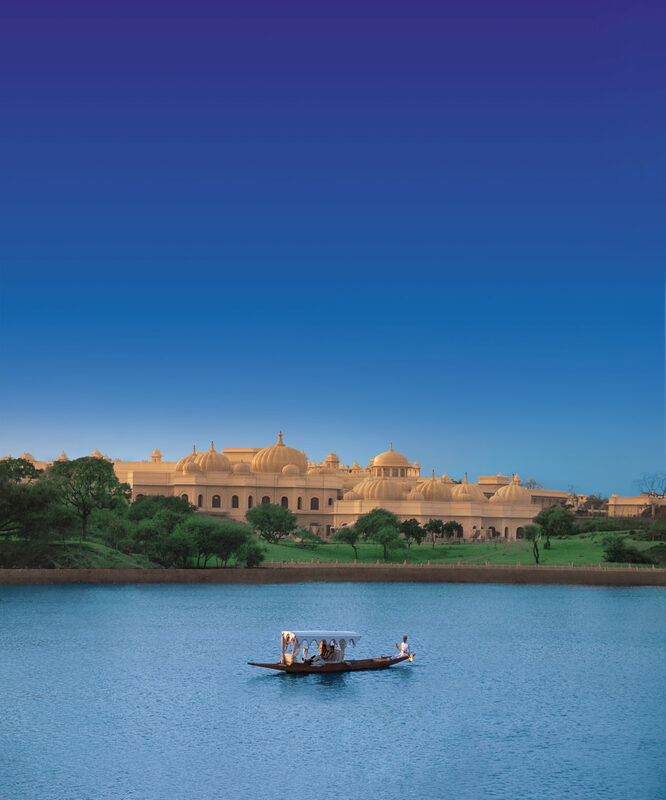 Many of the Oberoi Hotels & Resorts across India will serve as your home away from home as you explore the highlights of the country. 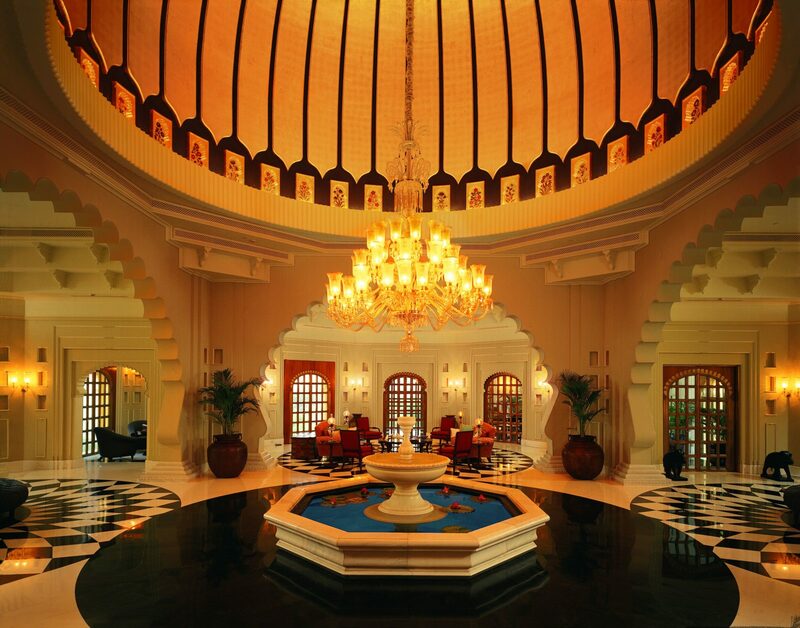 Blending seamlessly into their varied and unique settings, you will bask in their unparalleled service and luxury. Welcome to India! 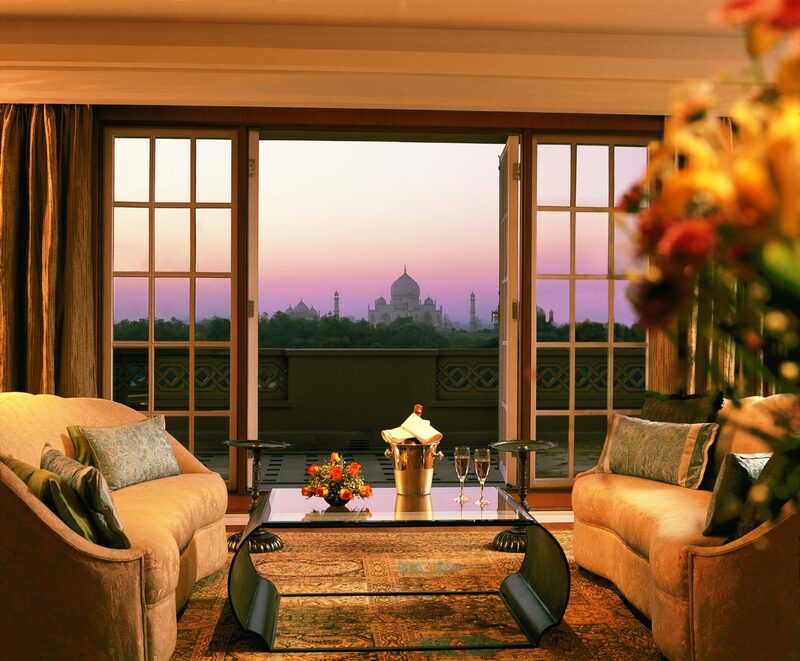 Upon arrival in Delhi, you will be met for your private transfer to The Oberoi, New Delhi. You will enjoy two nights in a Premier Room. Enjoy the remainder of your day at leisure. 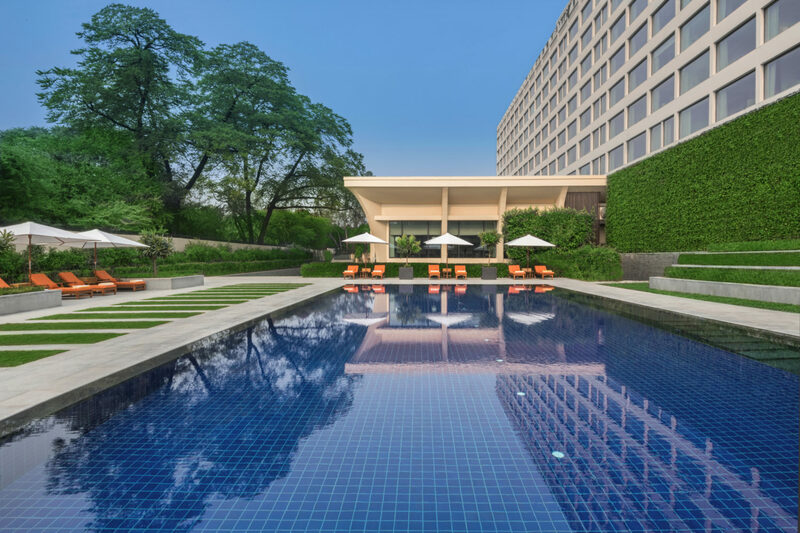 About The Oberoi New Delhi: Your home in Delhi is an iconic luxury five-star hotel located in the center of India’s cosmopolitan capital city. While its central location provides the utmost convenience, you may find that with the mix of onsite restaurants and activities, you may not want to leave! Don’t miss a trip to the hotel spa, a luxurious haven of peace and tranquility, providing a perfect escape from busy schedules and the rush of a bustling city. Today you will be met for your tour of the walled city of Old Delhi, with a private guide. Colorful, vibrant, noisy and chaotic are all words that best describe what many call “Old Delhi,” the seventh city of Delhi, which was built by the mighty Mughal Emperor Shah Jahan. Visit India’s second largest and most aesthetically designed Mosque, the Jama Masjid. Walk through the streets and markets of the 17th century imperial capital city of the Mughal Empire, India’s most glorious monarchy. Savor the fragrances of the boisterous Spice Markets, one of Asia’s largest, and marvel at the glitter of India’s largest jewelry markets. 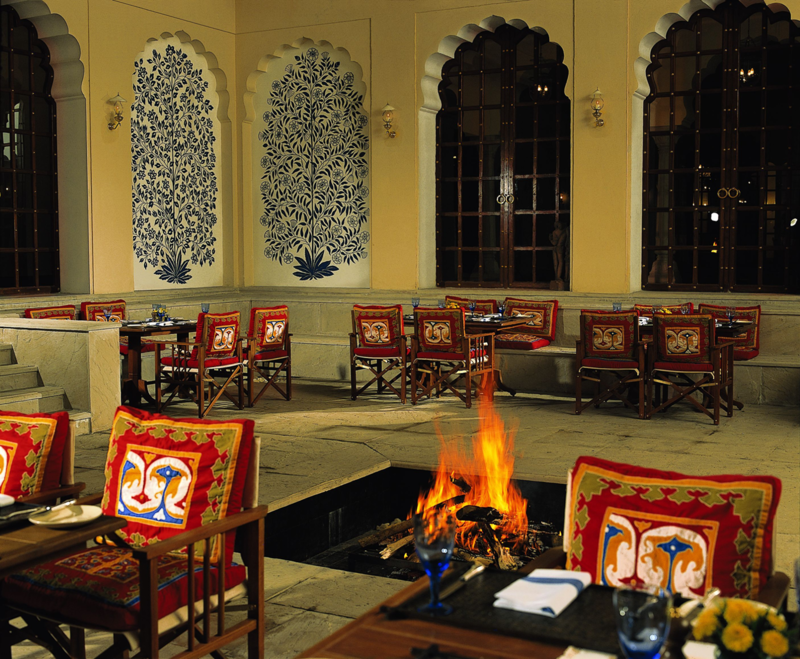 Get a glimpse of the once-glorious Havelis (royal mansions) of Old Delhi. With a mix of walking and rickshaw rides, you will discover hidden gems while exploring the narrow alleys and 350-year-old markets of the city built at the height of the Mughal Empire. 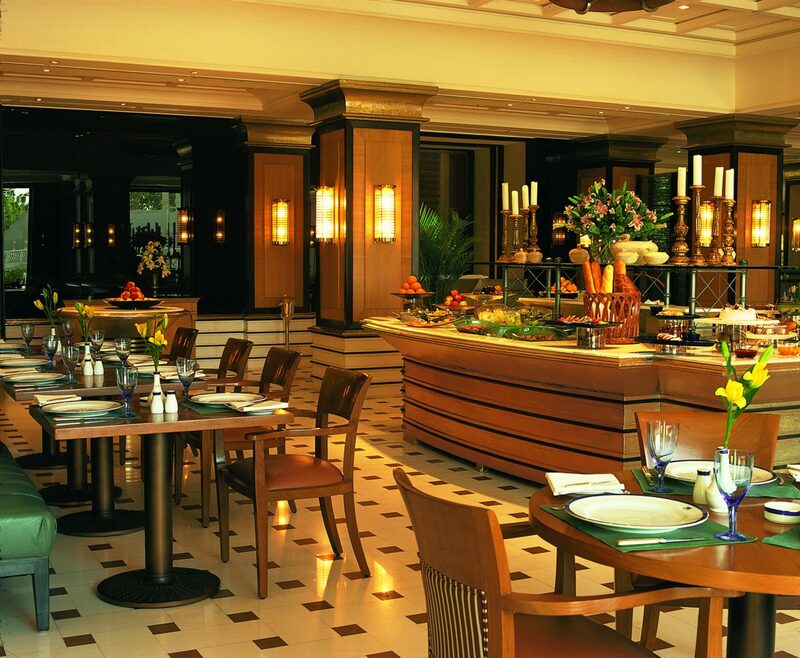 After your tour of Old Delhi, enjoy some time at leisure for lunch at a local restaurant. This afternoon meet your guide for an exploration of New Delhi, which actually offers more historical sites than Old Delhi. Start with a visit to Humayun’s Tomb, and a drive along the ceremonial avenue of Rajpath, continue past the imposing India Gate, Parliament House and the President’s Residence in New Delhi’s Diplomatic Enclave. Upon completion of your touring, you will be returned to your hotel. Enjoy the remainder of the evening at leisure. This morning you will be met for your private transfer to Agra. Upon arrival, you will visit Agra Fort, a massive structure with walls 70-feet high and 1.5-miles in length. The fort encompasses an astounding collection of well-preserved buildings, many of them completed during the reign of Emperor Shah Jahan. 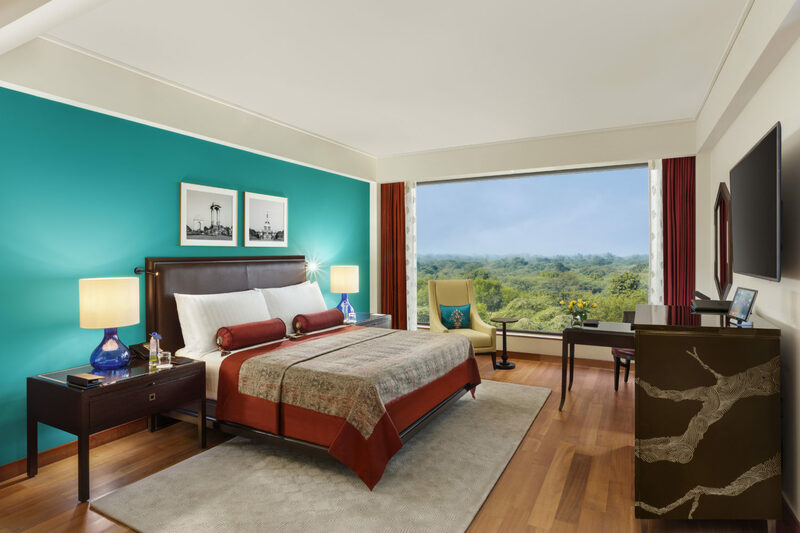 After your tour, you will be transferred to The Oberoi Amarvilas, where you will stay in a Premier Balcony Room for one night, including breakfast daily. Enjoy the remainder of your day at leisure. 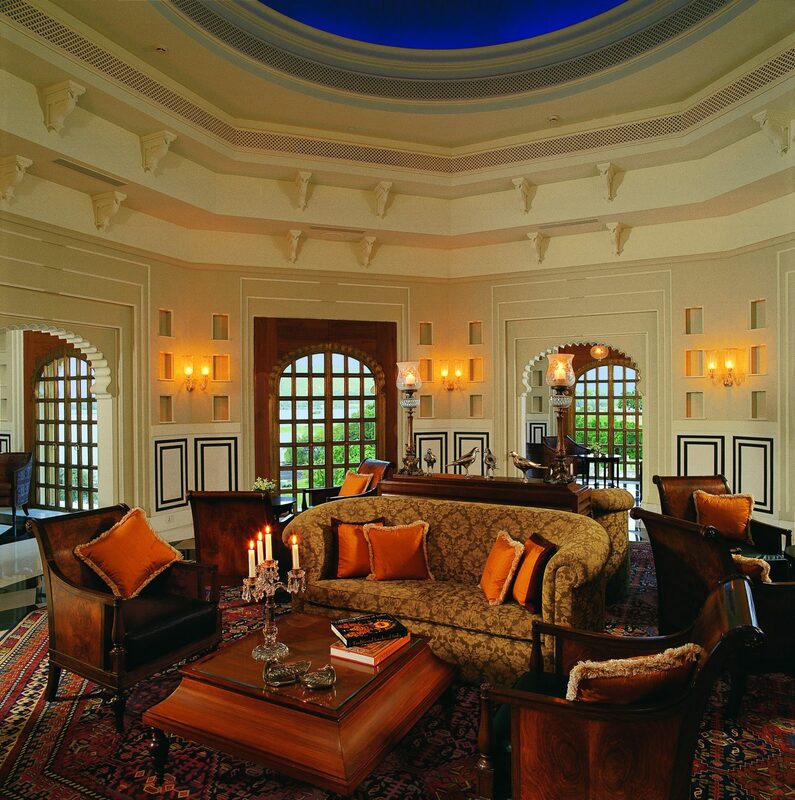 About The Oberoi Amarvilas: It will not take you long to see that The Oberoi Amarvilas enjoys an unrivaled position among hotels in Agra! 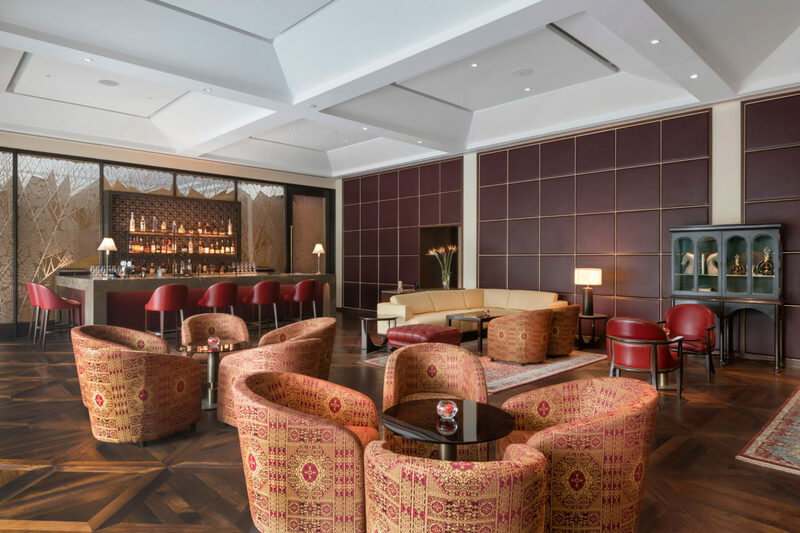 Its proximity to the Taj Mahal, each room offers an uninterrupted view of this iconic monument to love – and the design pays homage to its Mughal splendor. 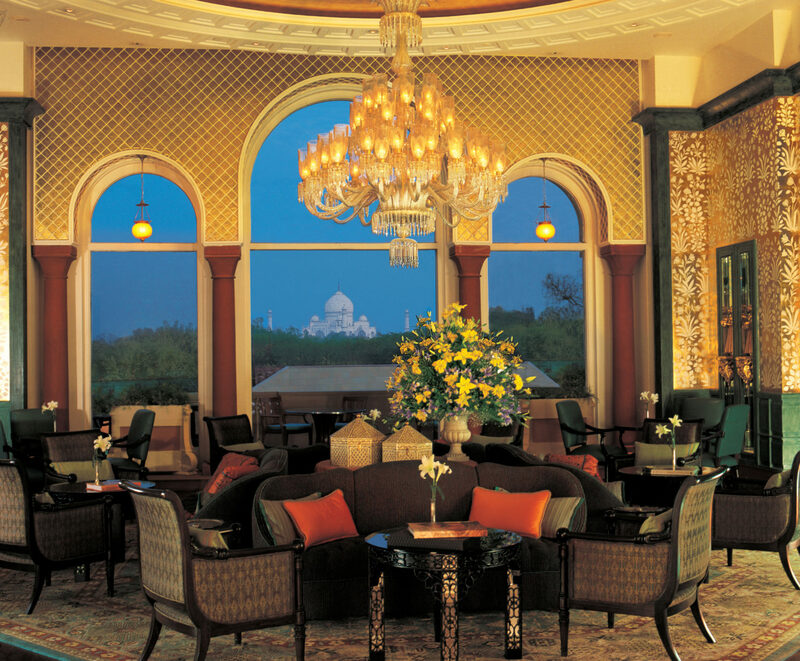 By day, you can travel in the hotel’s private golf buggies to the Taj Mahal. At night, you can savor a candlelit dinner beside its moonlit silhouette. This morning you will pay a special sunrise visit to the iconic Taj Mahal. Little needs to be said about this architectural wonder, which is always one of India’s highlights and the reason for every tourist’s visit to Agra. Built by Shah Jahan, the Taj Mahal is a white marble memorial to his beautiful wife Mumtaz Mahal. This monument took 22 years to be completed and was designed by the Persian architect Ustad Isa. Apart from its stunning design and perfect symmetry, the Taj is also noted for its elegant domes, intricately carved screens and some of the best inlay work ever produced. 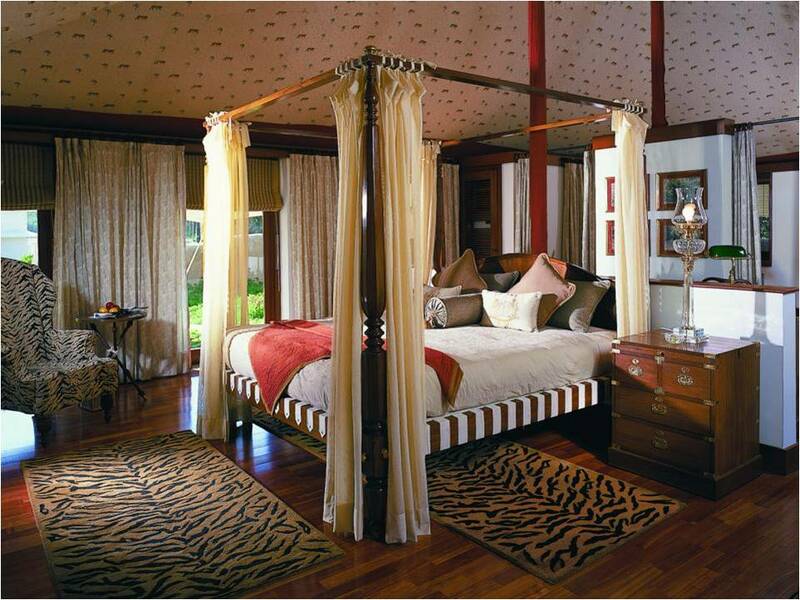 Return to your hotel for breakfast before departing on your private drive to Ranthambore and The Oberoi Vanyavillas, where you will stay two nights in a Luxury Tent, including all meals. 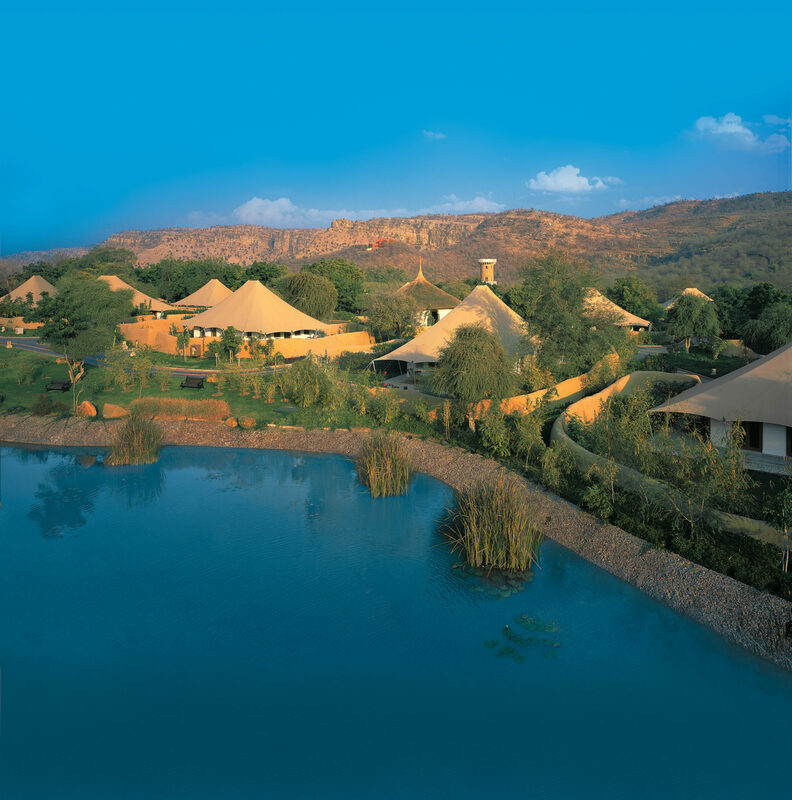 About The Oberoi Vanyavilas:Located less than ten minutes from Ranthambhore Tiger Reserve, The Oberoi Vanyavilas offer you the opportunity to see Royal Bengal Tigers in the wild, while enjoying the luxuries of an Oberoi experience. 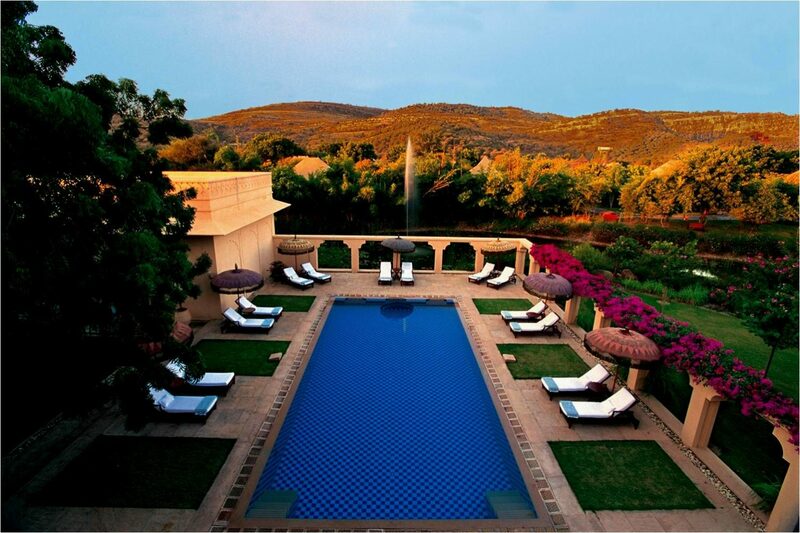 Spread across twenty acres of lush, landscaped gardens, The Oberoi Vanyavilas is rich with indigenous plants and birds. Stroll along the torch-lit pathways in the evening and delight in the melodious chorus of frogs singing in the lily ponds. From the top of theobservation tower, you can admire panoramic views of the bordering jungle, spot wildlife at the nearby watering hole and sip champagne at sundown. This morning you will visit Ranthambhore Tiger Reserve for your tiger safari in one of the Oberoi’s private vehicles. Tiger safaris traditionally take place at dawn and dusk when the big cats are on the move. Interestingly, naturalist guides use their hearing rather than sight to locate tigers: when chital and monkeys sense a tiger approaching they give a distinctive warning call that alerts the wildlife and our guides to the tiger’s approximate location. Next, the guides will speculate where you can likely see the tigers emerge from the forest. In addition to the Bengal tiger, the park has a rich diversity of fauna and flora, including leopard, striped hyena, jackals, sloth bear, macaques, langur monkeys, sambar and chital deer, gazzelles, wild boar, mongoose, Indian hare, monitor lizards and a great diversity of fauna. Upon return from your morning tiger safari, enjoy breakfast and a few hours of free time to leisure at the pool, visit the spa, walk the grounds, or rest. 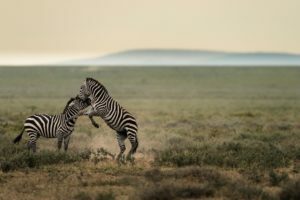 In the late afternoon, you will embark on your second safari in the hopes of seeing the tigers and catching the best light to photograph the park. 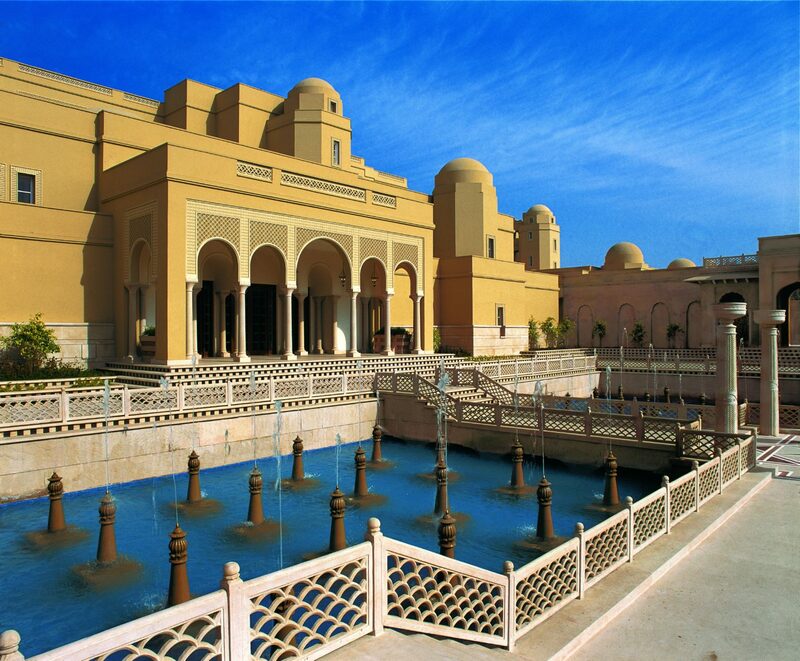 Upon arrival in Jaipur, you will be transferred to the Oberoi Rajvilas. You will stay in a Premier Room for three nights, including breakfast daily. Enjoy the remainder of your day at leisure. 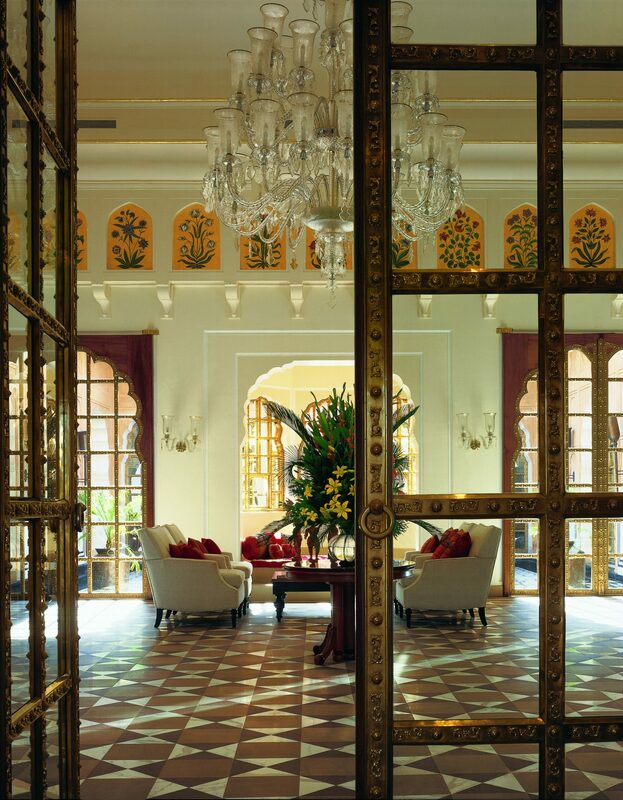 About The Oberoi Rajvilas:The Oberoi Rajvilas is unique among Jaipur hotels. This is truly a royal resort set in a breathtaking 32-acre oasis of landscaped gardens, filled with beautiful trees and exotic bird life. 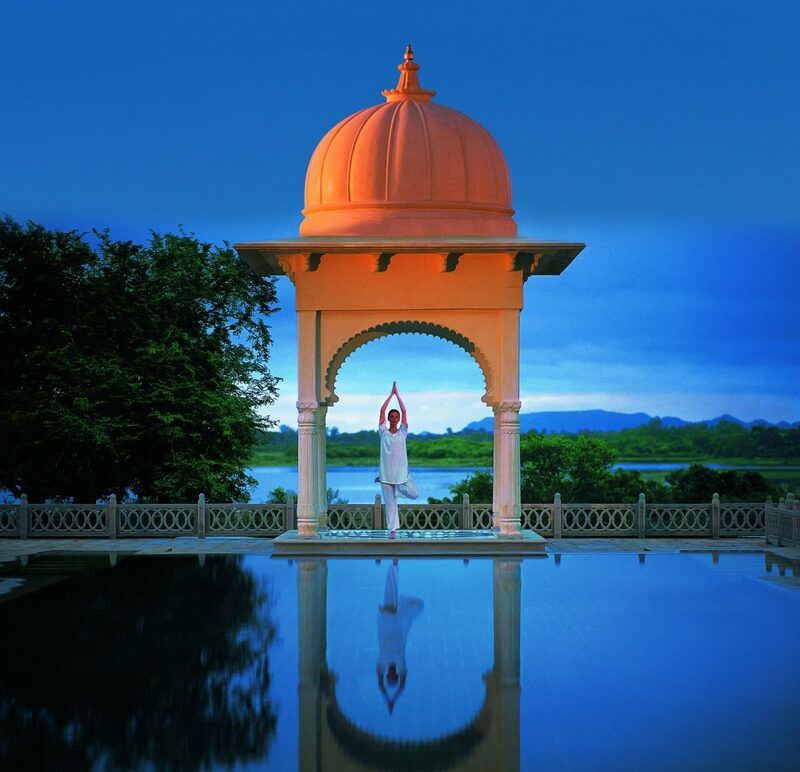 Built around an 18th century Shiva temple where guests can experience chanting with a Hindu priest, meditation and morning yoga, The Oberoi Rajvilas is a haven of mystical peace and natural serenity. Throughout the luxury resort, traditional techniques have been used to replicate the famous pink lime plaster walls of the historic city. 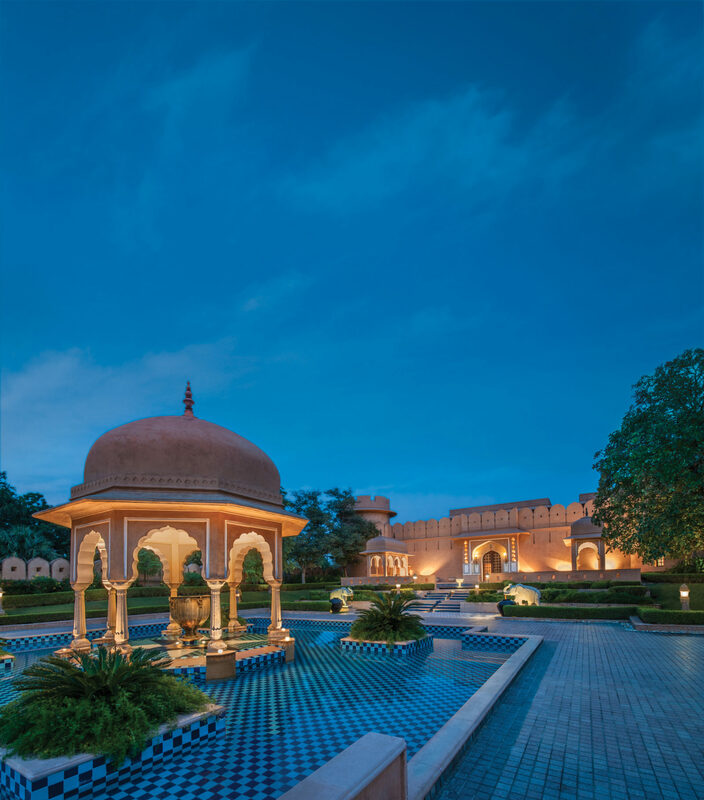 Also adorned with Mughal arches, gold leaf frescoes, high domed ceilings and magnificent crystal chandeliers, the hotel epitomizes traditional Rajasthani charm and Oberoi five-star luxury. This morning you will be met for your private ‘Gems of Jaipur’ Tour. Visit the magnificent Amber Fort, the most iconic monument of Jaipur .You can have the experience of travelling on jeeps to the top of the hill where the fort is situated. Housing many palaces, halls, gardens, and temples, including Sheesh Mahal, an elaborate mirror Palace work adds to the grandeur of this historic part, a visit to Amber is indeed well worth, later embark on our uniquely designed Cycle Rickshaw tour. This tour is planned to offer you an insight on the socio economic aspects of the city. Every lane in the walled city has something interesting to offer and the relaxed Rickshaw ride is the best way to explore the city like the locals do. 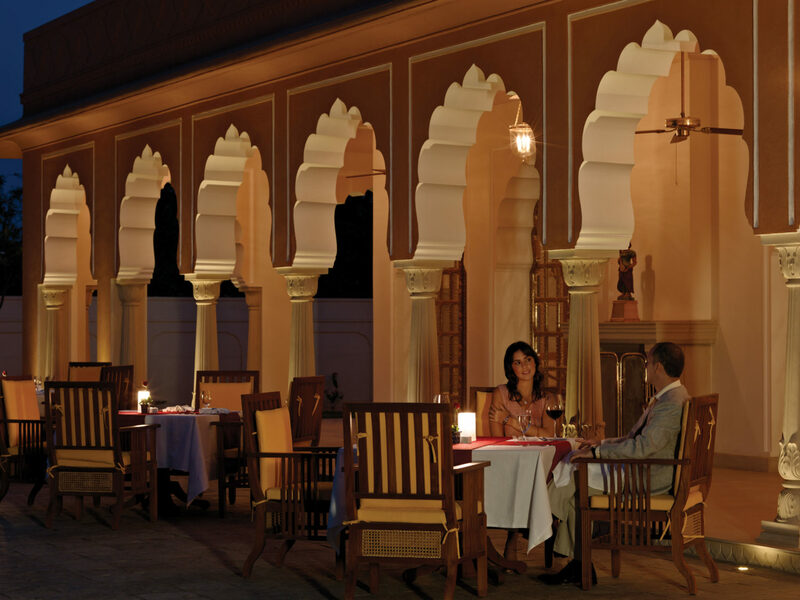 After your tour of Amber Fort, enjoy some time at leisure for lunch at a local restaurant. This afternoon, meet your guide for your Bazaars, Crafts & Cuisine Walking Tour. 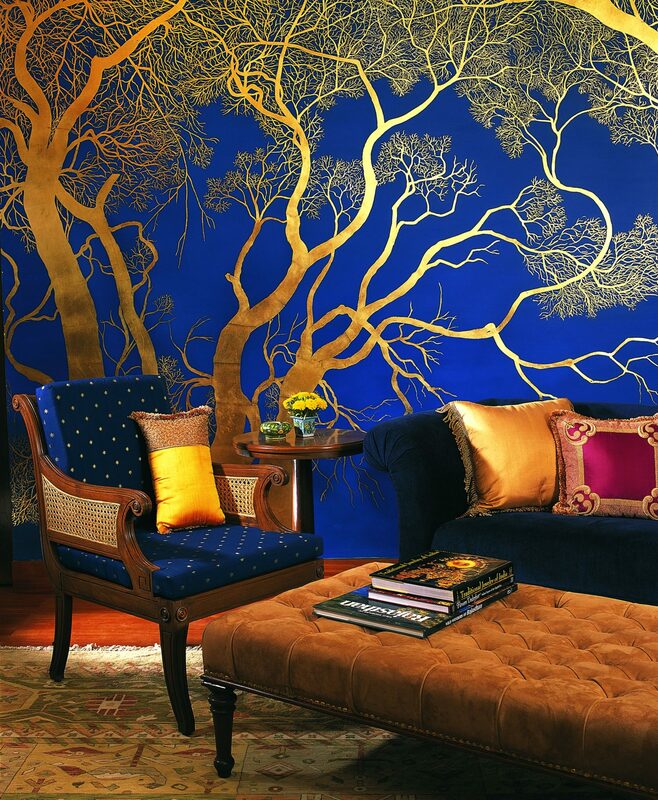 Jaipur offers a dazzling immersion into the riches of traditional India. Since its foundation in 1727, royal family and nobles of Jaipur had been patronizing various craftsmen and artisans in the Pink City. Many of these traditions continue to this day, making the modern day Jaipur a favorable destination to witness India’s rich Art & Craft. Traditional methods are still used to produce valuable and highly prized items. On this fascinating early evening walking Tour mingle and talk with locals whilst sampling some of the regions culinary delights; try Samosa Kachori, Kulfi and Lassi. Sample sweets from some of the city’s most popular Mithai Wala’s, observe local artisans like Silversmiths, Bangle makers, at work. Meet a local family and experience Indian hospitality. It’s a great way to explore jaipur like locals do and learn about rich art traditions of this fascinating city. Today you will fly from Jaipur to Udaipur. 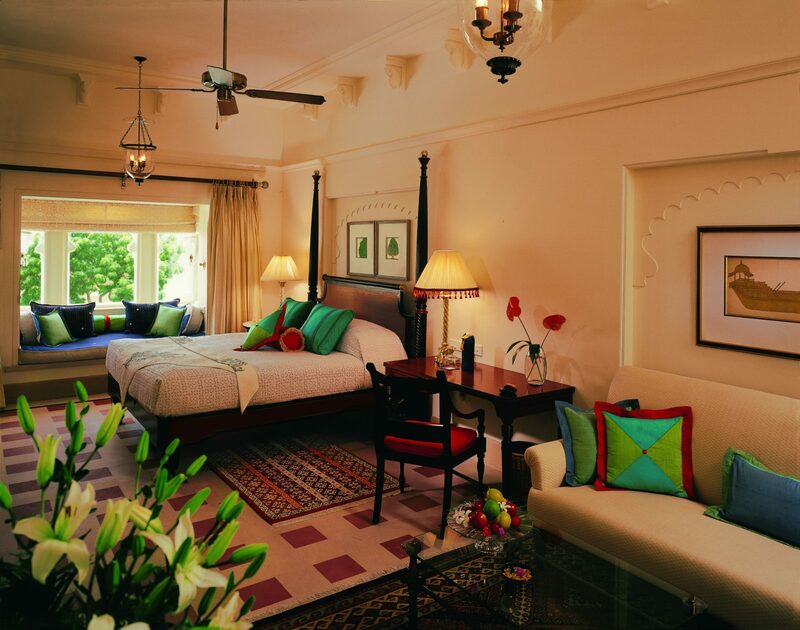 Upon arrival, you will begin your afternoon sightseeing tour of Udaipur. Udaipur is popularly known as the City of lakes, founded in 1559 by Maharana Udai Singh II. The beautiful city of Udaipur houses 5 pristine lakes with Pichola being the most impressive, the Old City of Udaipur is dotted with numerous historic temples, Havelis and baoris (Step wells). On this tour visit Udaipur most iconic tourist attraction City Palace Complex with its marble and granite walls laden with miniature paintings, and decorated with tiles, glasswork and mirrors, it’s a great insight into the lives of the royalties. We will also visit the famous Jagdish Temple. This 16th century Vishu Temple is full of fine stone sculptures. Along with this we drive into the old quarters of Udaipur city on a guided walking tour. During the tour meet various locals artisans engaged in jewellary making, pottery and bamboo craft. Also learn about the local traditions customs attached to the living habits and religious beliefs. 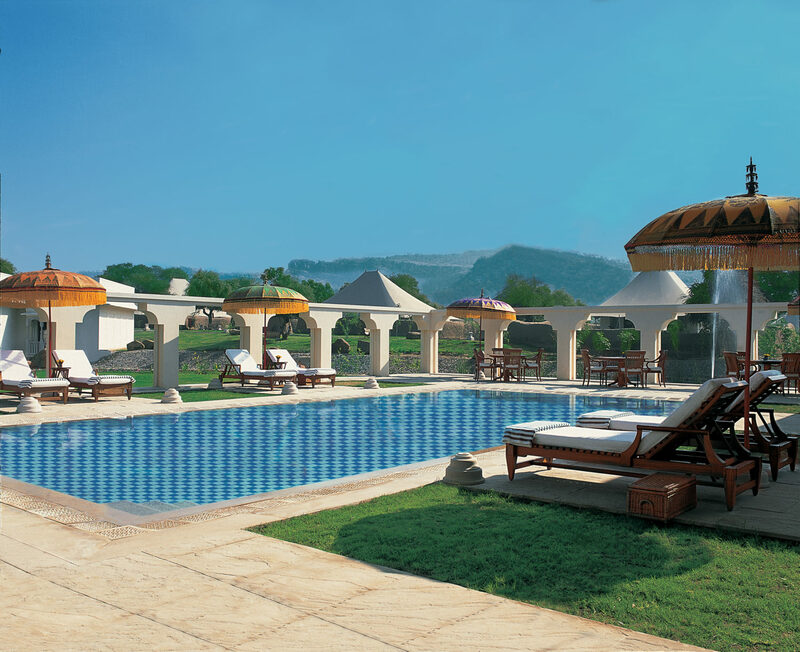 Upon completion of your tour, you will transfer to The Oberoi Udaivilas, where you will spend two nights. Enjoy the remainder of your evening at leisure. 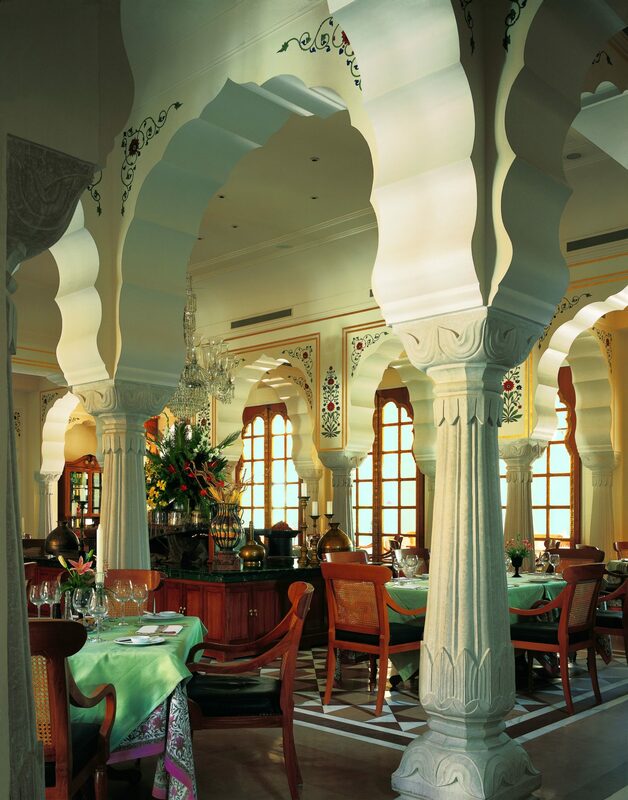 About The Oberoi Udaivilas: Located on the bank of Lake Pichola, The Oberoi, Udaivilas is unique amongst luxury hotels in Udaipur. It stands on the 200 year old hunting grounds of the Maharana of Mewar and is spread over fifty acres, which includes a twenty-acre wildlife sanctuary with deer and wild boar. 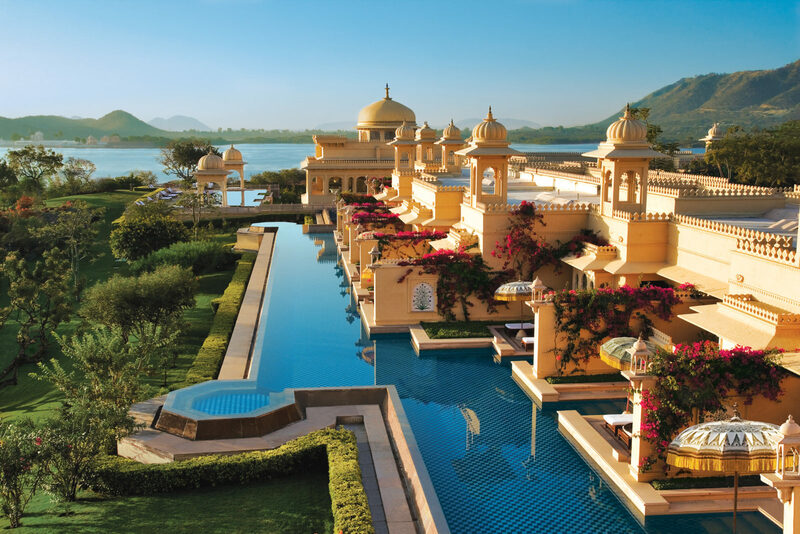 The Oberoi Udaivilas, Udaipur also affords spectacular views across the hotel’s verdant gardens and sparkling Lake Pichola. 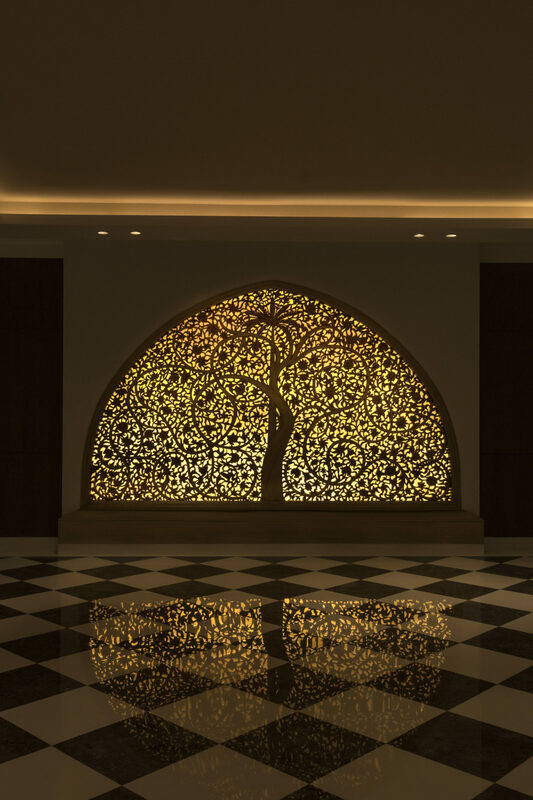 Our luxury hotel in Udaipur has an intricate layout of interconnecting domes and corridors that reflects the layout of Udaipur itself; whose seven lakes are linked by canals. These domes and walkways are flooded with sunlight, caressed by balmy breezes and offer magnificent views of the lake and gardens. Today you will have much of your day at leisure. We suggest you enjoy the beautiful surrounds of your hotel and visit their lovely spa. The spa is located in an 18th century haveli (mansion) which has been restored to ancient splendor – complete with authentic, pink Jaipuri lime plaster walls, decorated with vegetable dye frescoes, white marble and red sandstone floor tiles. Treatments include the very best in Ayurvedic and Western beauty therapies. Be sure to also try morning yoga and meditation in the Shiva temple onsite. This evening, you will embark on a second tour of Udaipur. Through a carefully designed heritage walking Tour we aim to bring the diverse culture, traditions, craftsmanship. During this an engaging walking tour to discover the hidden quarters of this romantic city and offers a great opportunity to get under the skin of the city. During the tour meet various locals and communities engaged in jewellary making, pottery and bamboo craft. Also learn about the local traditions customs attached to the living habits and religious beliefs. Today you will be met for your private transfer to the Udaipur Airport for your commercial flight to Delhi. Upon arrival, you will be met for your private transfer to The Oberoi Gurgaon, located just 15-minutes from the international airport. You will have use of a day room until your evening flights home. In preparation for your long journey home, be sure to visit the spa, which offers 24-hour beauty therapies, massage treatments and fitness, so that guests can take advantage of these superb facilities no matter how busy their schedule. 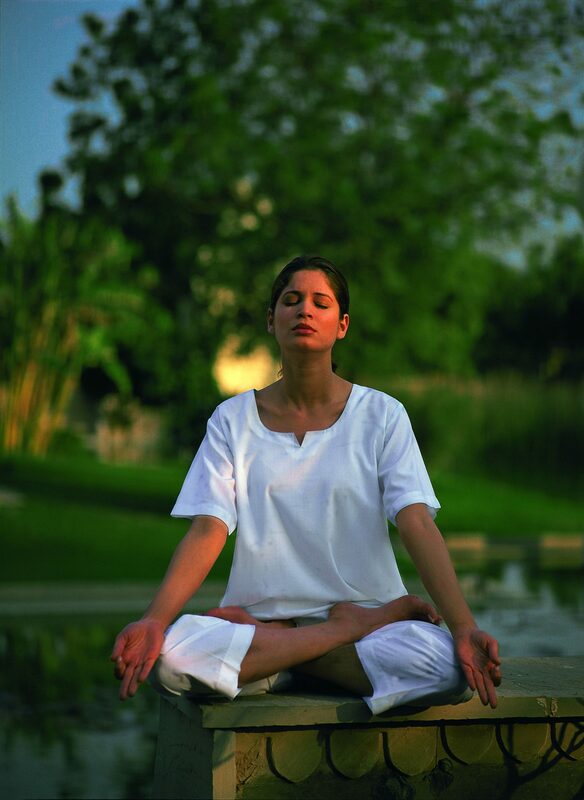 The spa offers holistic therapies based on Aromatherapy, Ayurvedic and Western techniques. 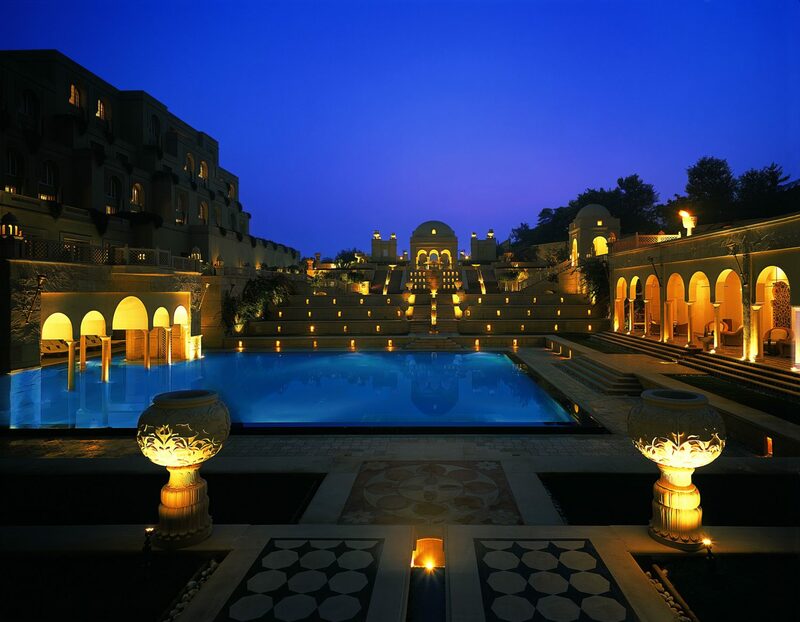 Oberoi Hotels & Resorts is synonymous the world over with providing the right blend of service, luxury and quiet efficiency. 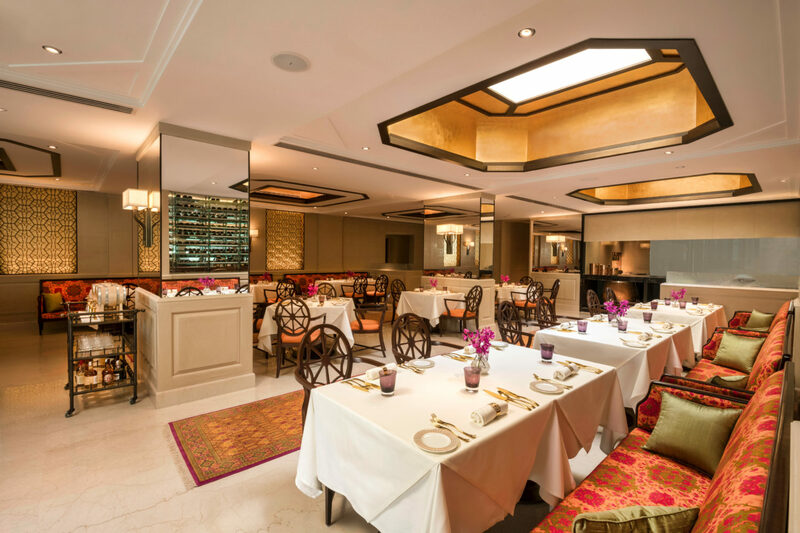 Internationally acclaimed for all-round excellence and unparalleled levels of service, Oberoi Hotels & Resorts have received innumerable awards and accolades. 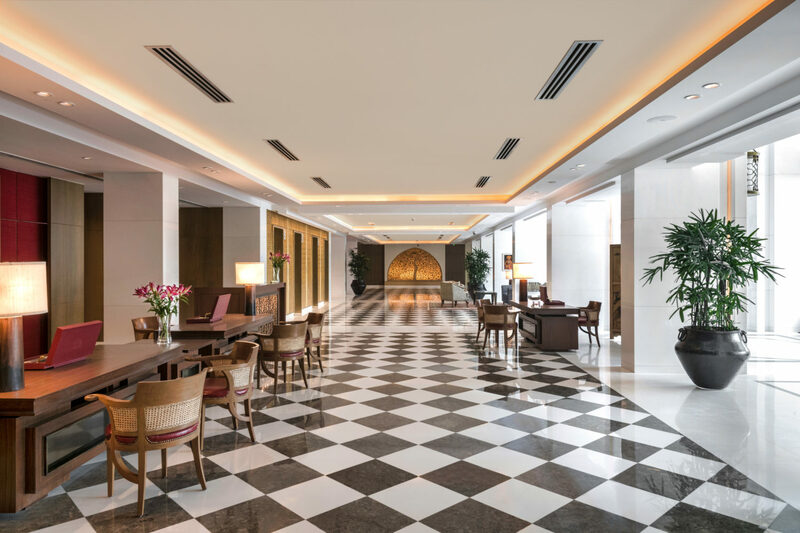 A distinctive feature of The Group’s hotels is their highly motivated and well trained staff who provide exceptionally attentive, personalised and warm service. 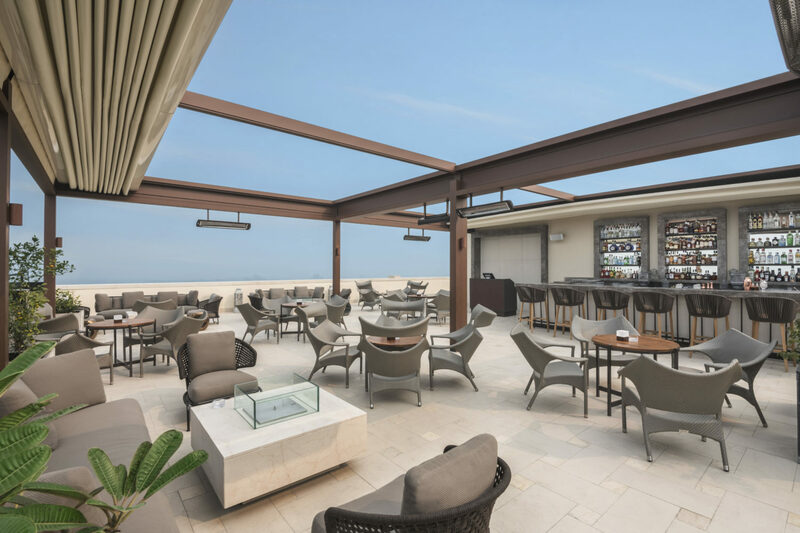 The Group’s luxury hotels have established a reputation for redefining the paradigm of luxury and excellence in service amongst leisure hotels around the world. 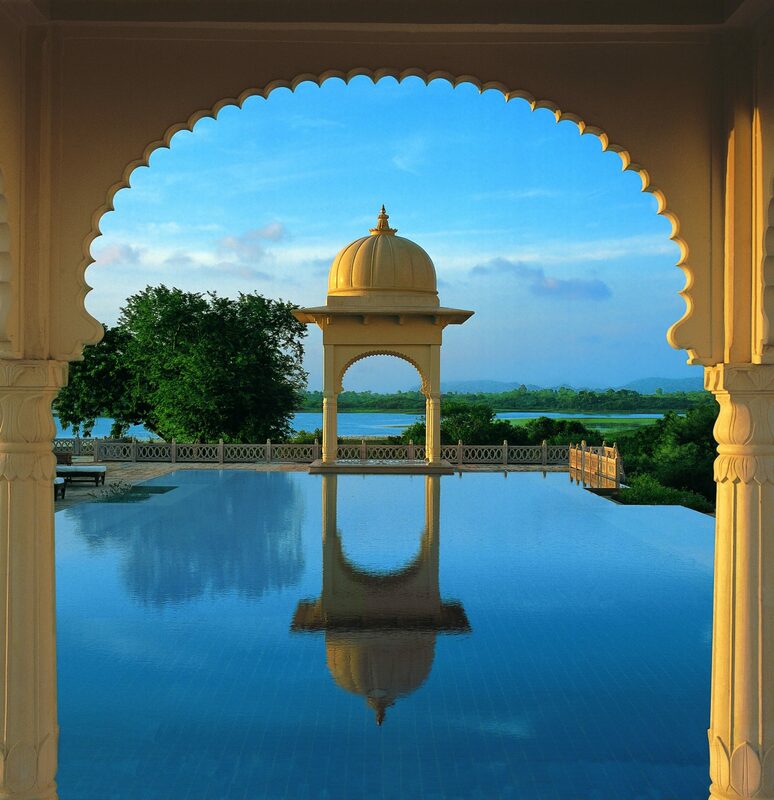 Travel Beyond is proud to partner with Oberoi in our mission to create custom journeys that exceed each client’s expectations.